The use of automotive LED lights was started in the early 1990s. In the last two decades, major efforts in technology development for auto LED lighting have been centered on adopting LEDs and laser diodes (LD), and on increasing the benefits of using these LED lights. The SAE International Lighting Standard Committee is a standardization body which has been actively developing the standards that stand for industry best practices. Recently, SAE published the standard J3069 for adaptive drive beam (ADB) headlamps, where LED and LD sources are used and the beam is dynamically controlled. Indeed, ADB implies active control of headlamp beam patterns, so portions of a beam can be dimmed or removed based on inputs from the vehicle and/or its surroundings. 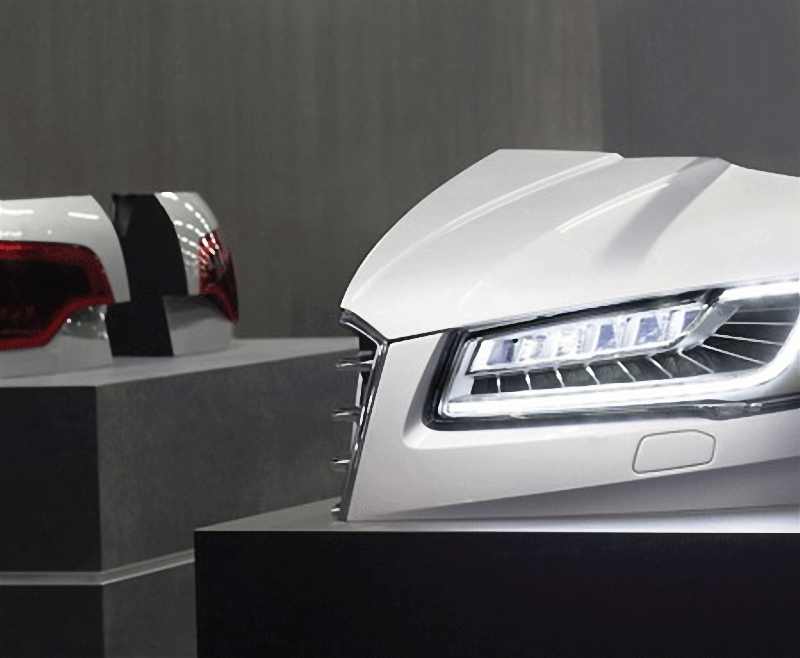 Such headlamps came to the market in 2013 when Audi announced the Matrix LED headlights on European versions of the A8 sedan. ADB technology has been slowed in North America by the lack of international standards and the requirement for low- and high-beam LED lights. The SAE standard, however, make preparations forward for wider ADB applications. SAE J3069 is an SAE Recommended Practice, which provides test procedures, performance requirements, and design guidelines for ADB systems. The requirements of J3069 aim to restrict the ADB pattern to values of glare perceived by opposing and preceding vehicles to similar glare values from the low beam mounted on the same vehicle. Since glare levels from low beams have been defined by SAE J1383 and federal regulation FMVSS108, the goal of SAE J3069 is not to exceed these values for ADB headlights - thus helping the industry to quickly adopt the technology. Different from other automotive lights standards, in which the lighting performance characteristics are tested and verified in the laboratory environment, SAE J3069 allows for testing lighting functions based on their acutal performance on the road, i.e., a track test. The track test is made using a stationary fixture, representing the preceding or opposing vehicle and the ADB test vehicle driving against this fixture. This test setup was considered worst case since some on-vehicle camera systems utilize an opposing or preceding vehicles movement within a scene to regard them as vehicles instead of other road objects like reflectors on the side of the road. Having the fixture remain stationary also reduces test variability. The standards development also included consideration of LED lifetime. LED lumen maintenance is a key characteristic in the general lighting application due the extensive lifetime expectations for LED lights and fixtures. For automotive exterior lighting applications, the lamp lifetime is based on the vehicle life and the lamp usage during the life of a vehicle.